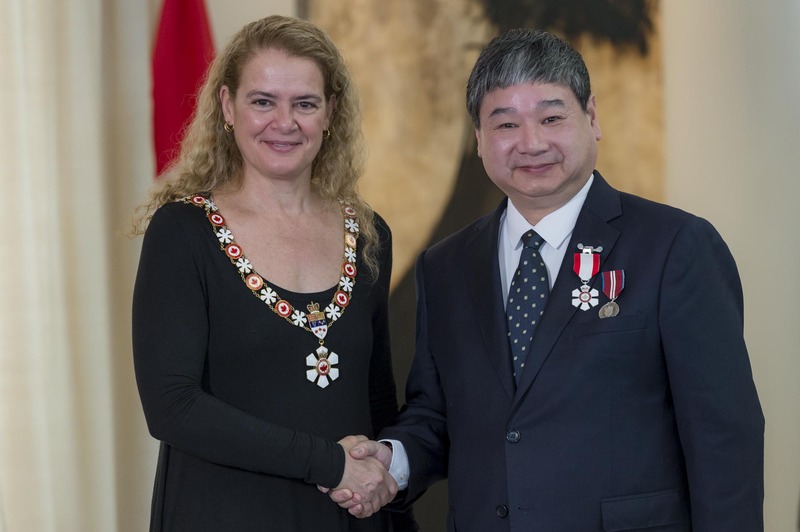 Her Excellency the Right Honourable Julie Payette, Governor General of Canada, invested 6 Officers and 18 Members into the Order of Canada during a ceremony at the Citadelle of Québec, on Tuesday, February 12, 2019. 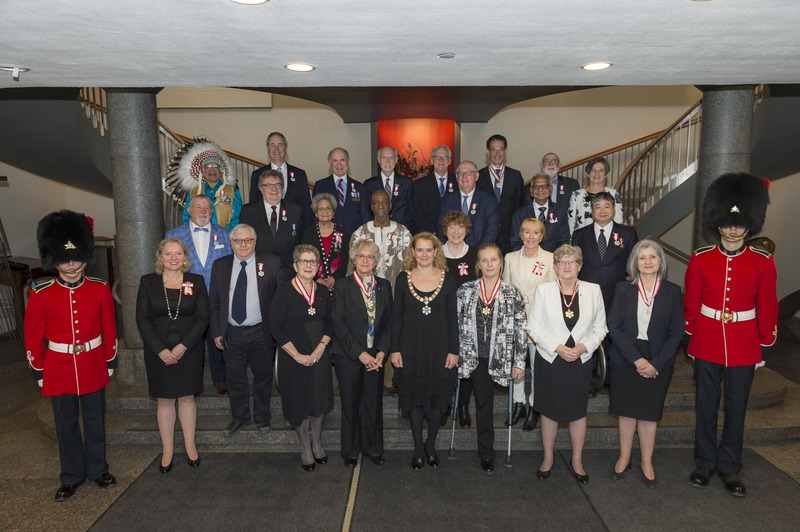 On Tuesday, February 12, 2019, Governor General Julie Payette invested 6 Officers and 18 Members into the Order of Canada during a ceremony at the Citadelle of Québec. 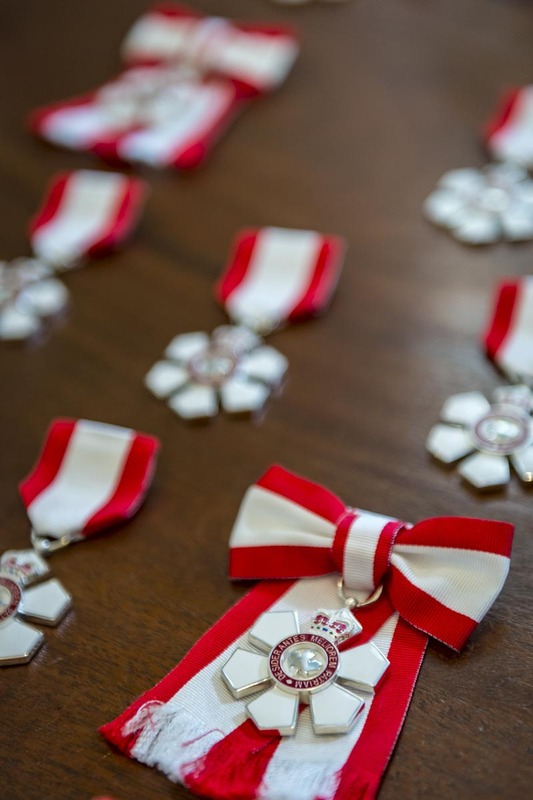 The Governor General provided opening remarks during which she compared the uniqueness of the snowflake - iconic insignia and symbol of the Order of Canada - to that of the recipients being honoured. A clinical psychologist, Louise Nadeau has dedicated her career to the study and treatment of various forms of addiction. As chair of Éduc’alcool’s board of directors, she demonstrated strong leadership during the “Moderation is always in good taste” campaign and in quantifying reasonable consumption limits. A respected researcher, she worked against the stigmatization of women struggling with addiction and was a pioneer in the prevention of fetal alcohol syndrome. 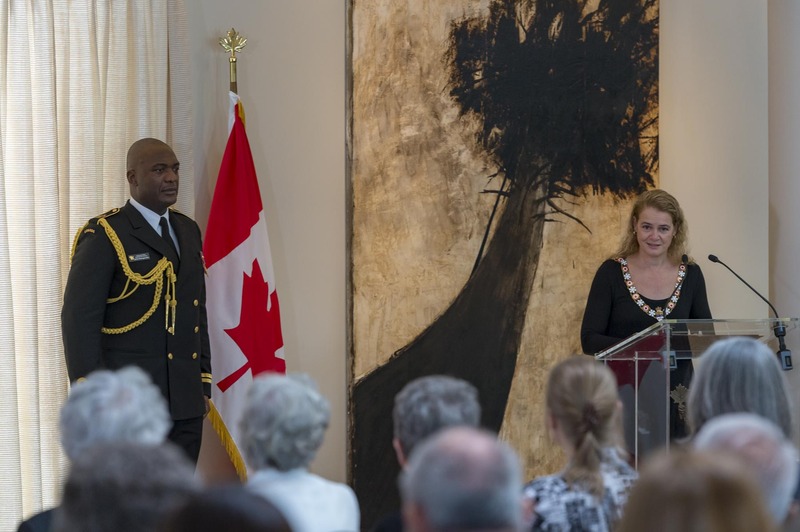 Her initiatives have set the global standard and extended the influence of Canadian research. 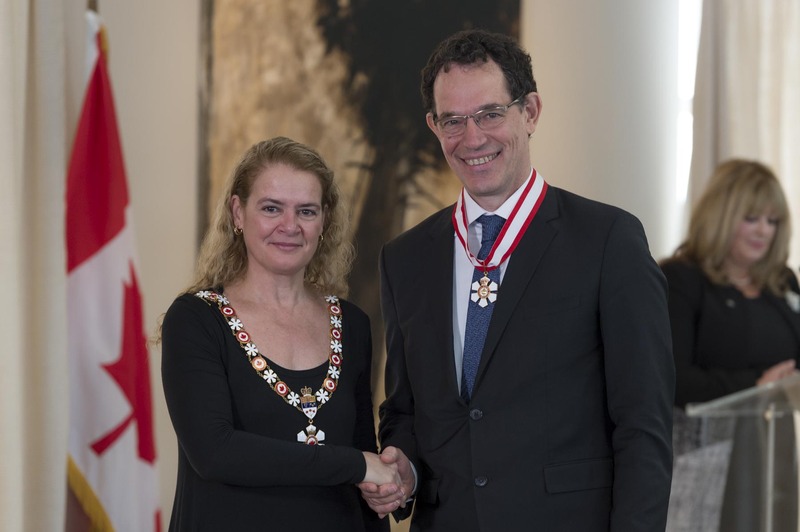 Cosmologist Neil Turok has been instrumental in launching Canada to the forefront of theoretical physics. As the highly respected director of the Perimeter Institute, he is renowned for his cyclic model that provides an alternative to the mainstream inflationary theory of the universe. He has also endeavoured to increase opportunities for science education abroad by founding the African Institute for Mathematical Sciences, a pan-African network of centres for teaching and research. Through his groundbreaking work, he continues to expand our knowledge and challenge the way we understand the origins of our world. 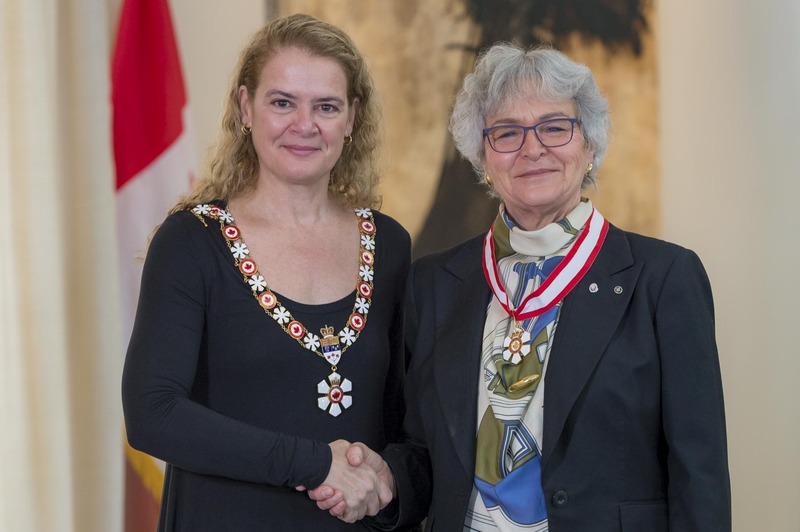 Agnes Di Leonardi is an advocate for women leaders in Canada. A successful lawyer and senior executive, she has been at the forefront of the Canadian automotive industry for several decades. Her exceptional leadership is characterized by a professional and personal commitment to empowering women in business and in the community. 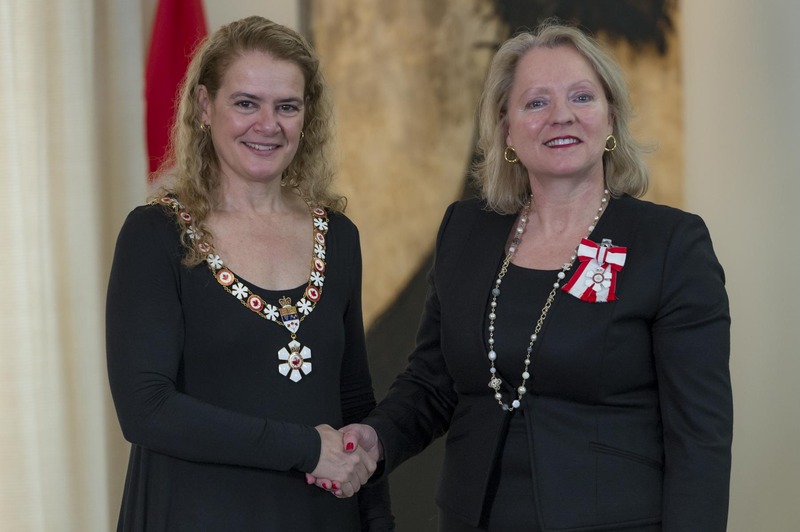 Notably, she has been a key figure in the growth of the International Women’s Forum of Canada, a global network providing leadership development opportunities to women from across the country. The writings of author, speaker and teacher Edmund Metatawabin are a testament to the healing power of words. His 2014 memoir, Up Ghost River: A Chief’s Journey through the Turbulent Waters of Native History, chronicled his story of residential school abuse and his journey to recovery. His words have manifested into advocacy for fellow survivors, notably through the St. Anne’s Residential School Survivors’ Association. 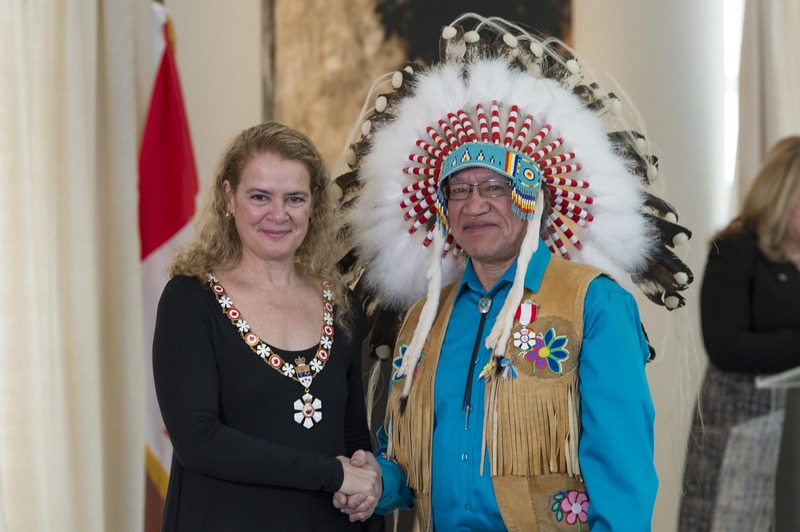 A former chief, he is a revered traditional knowledge keeper and mentor of the Fort Albany First Nation. 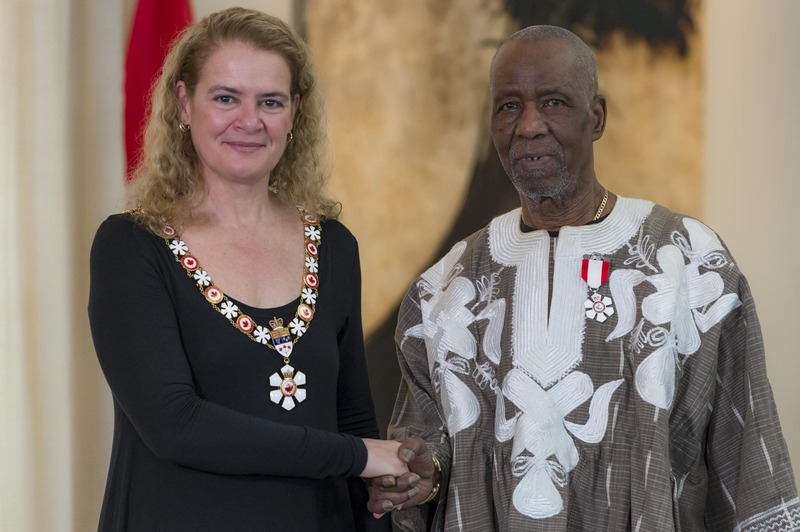 Lamine Touré has devoted his life, his time and his talent to promoting African, Caribbean and Latin American cultures and music in Canada. The founder of the popular Club Balattou and the world-renowned Festival International Nuits d’Afrique, he created a mosaic of languages and traditions that reflect Canada’s multicultural tapestry, one dance step and one rhythm at a time. Through the creation of an award celebrating world music, he is also supporting the careers of musicians and artists— particularly emerging talent—from Canada and elsewhere. Marjorie White’s wisdom reaches far beyond the Huu-ay-aht First Nation. 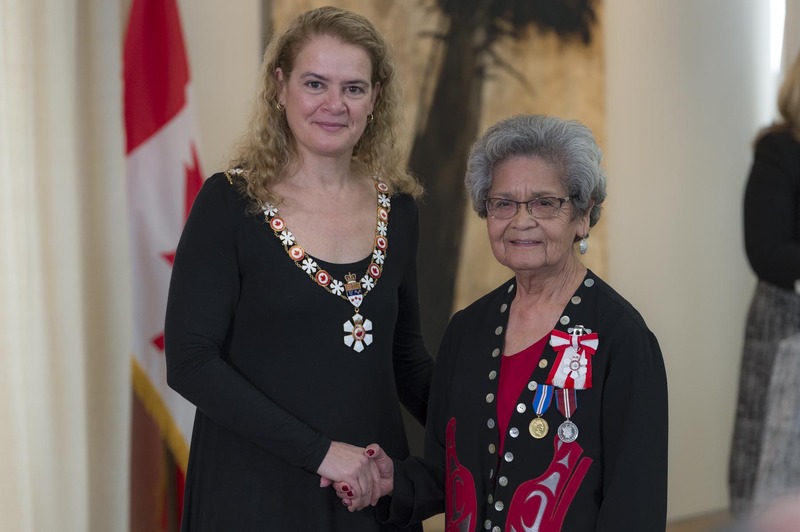 For more than 50 years, she has been a tireless advocate for positive change in the lives of Indigenous people. She was instrumental in creating a support network for individuals migrating to Canada’s urban centres, which evolved into a national Friendship Centres movement that now serves thousands of Canadians. She has devoted her energy and creativity to various regional and national organizations, and was a founder of the Circle of Eagles Lodge, a culturally relevant halfway home for clients transitioning from the correctional system. Yiyan Wu est une référence incontournable du secteur des communications multimédias et sans fil à large bande. Chercheur scientifique principal au Centre de recherches sur les communications Canada, il a aidé à propulser la recherche et la technologie canadiennes à l’échelle internationale, notamment en formulant des normes actualisées et de prochaine génération pour la télévision numérique. Il a exercé un leadership novateur au sein de nombreux établissements universitaires et professionnels, ce qui a favorisé la coopération internationale et grandement stimulé le développement des technologies de pointe en génie des systèmes de communication.